Three tips for enhancing DHOs for an added “punch” to the action. Think of the dribble handoff (DHO) as a jab in boxing. The boxer does not expect to knock his/her opponent out with the jab. They use it to set up another punch; perhaps a cross. Likewise, a straight DHO from Player A to Player B often yields no advantage. It is easy for the defense to switch or slide through. But enhancing the DHO with another element may increase the effectiveness. Much like a boxer throws a jab-cross combination to land a crushing blow, enhancing the DHO adds punch to the action. Here are three examples of DHO enhancements. The defense is forced to defend a combination of elements – the down screen followed by the handoff. The Brooklyn Nets demonstrate the Swing-Down-Flip combination in the video above. Note how quickly the elements are strung together to create the advantage, much like a boxer’s cross quickly follows their jab. Creating with blur screens can be an innovative approach. The blur screen uses the intersecting paths of two players to rub off a defender. Player 5 dribbles at Player 1 prompting the cut toward the far corner. Player 2, the desired recipient of the handoff, times his/her rise from the corner to rub off X2 in the traffic. Even a little hesitation or bump on X2 can give Player 2 a small advantage coming out of the handoff. Note in the video above how Zach LaVine’s defender is often caught in the traffic and ends up trailing LaVine as he takes the handoff. Using the ball screen to enhance the DHO is commonly called “Pistol” action. However, we prefer the terms FLIP-GET. Metaphorically speaking, the ball screen is the “cross” that follows the “jab.” The ball screen enhances a basic DHO. Player 1 delivers the handoff to Player 2. Player 5 follows moving into position to set the ball screen for Player 2 as he/she exits the handoff. 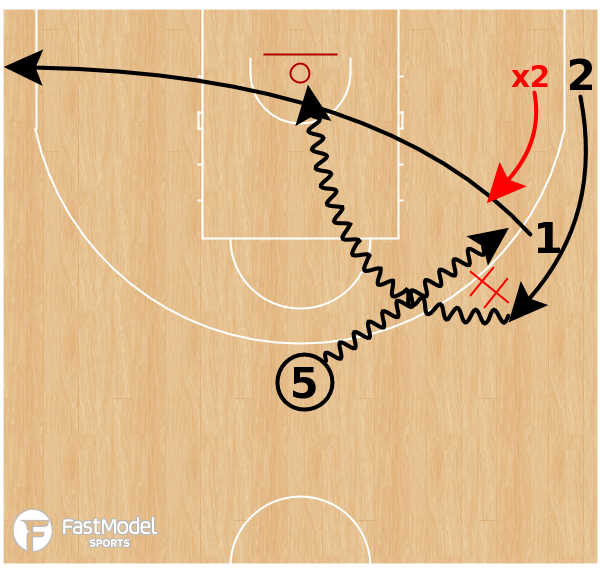 Above, the Houston Rockets demonstrate this concept in their Transition Offense attack. In fact, all of the above concepts can be applied in Early Offense for a fluid offense that creates advantages early in the possession. 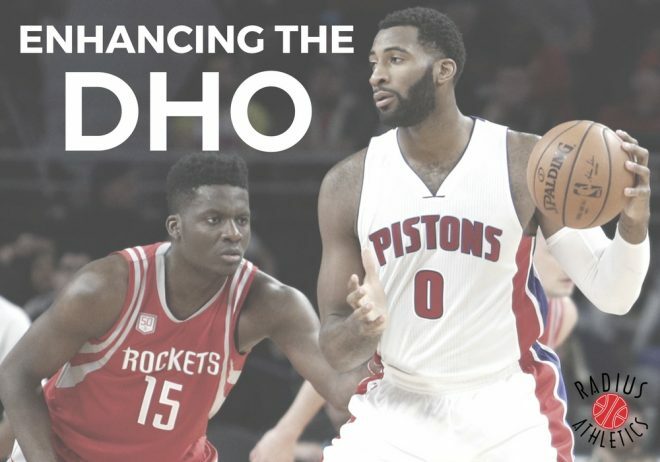 Enhancing the DHO means tacking on another element to increase its effectiveness. Defenses must make multiple efforts and communications to handle the successive elements. Thus, leaving more room for error and breakdown. Combine elements to “throw combinations” and add punch to your offense! For help with practice planning and implementation of a conceptual-based offensive attack featuring the above concepts for finding, using and creating offensive advantages please reach out and join our community for basketball coaches!